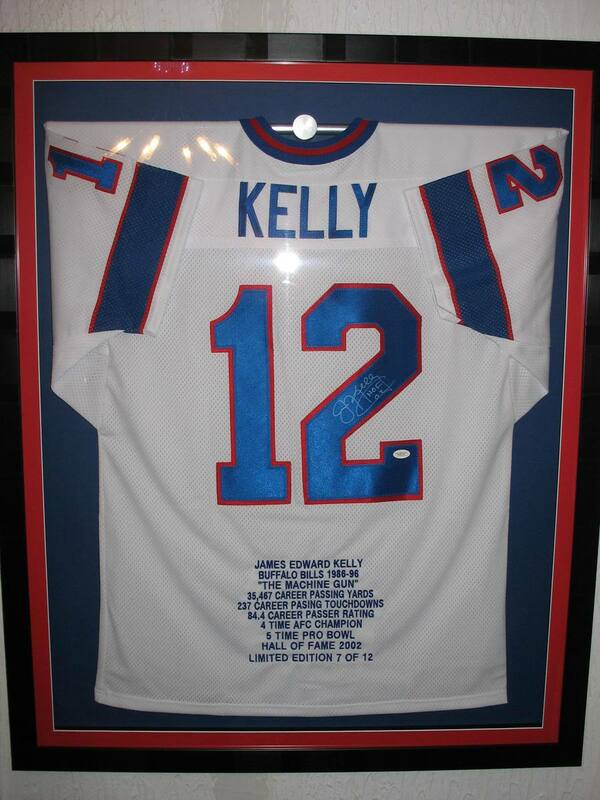 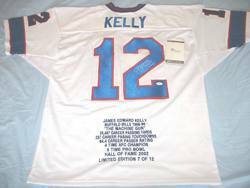 This is an autographed jersey by Hall of Famer Jim Kelly. 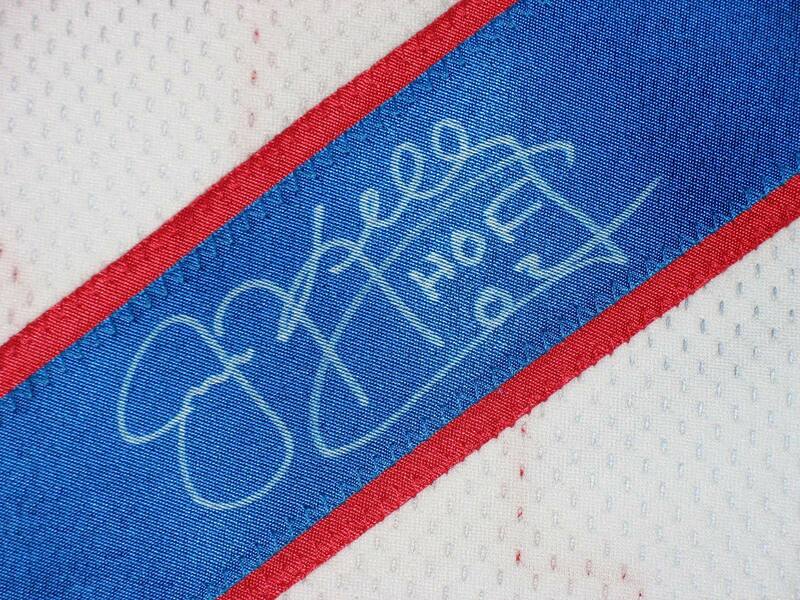 It is authenticated by JSA and is signed on the #2 in silver pen. 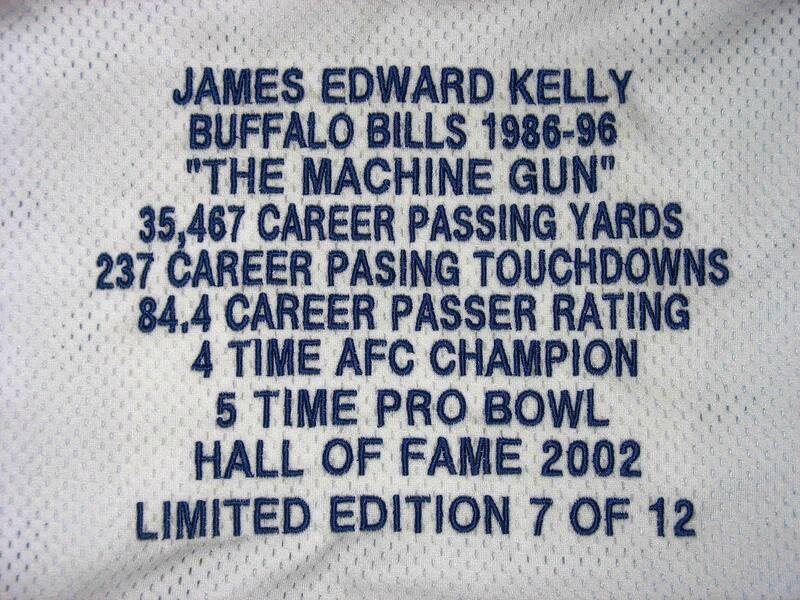 I had this framed and it takes pride of place on my 'man wall'.